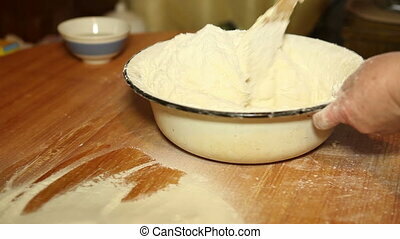 Footage woman kneads dough in a dish. 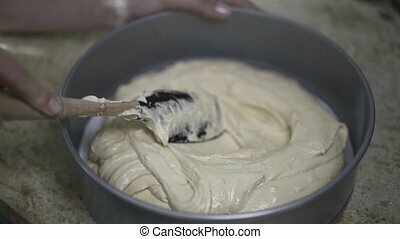 Woman frosting a cake at professional bakery. 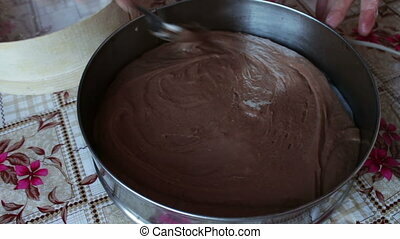 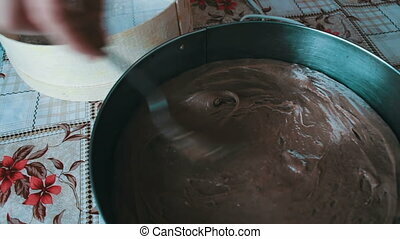 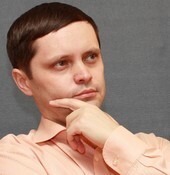 Confectioner puts cream on the surface of the cake. 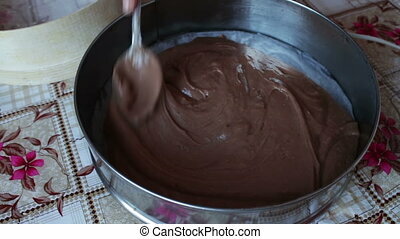 Cooking delicious dessert. 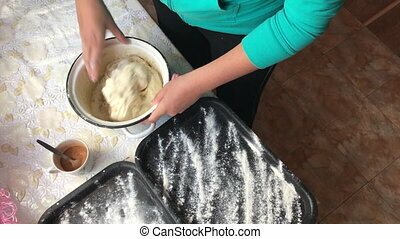 A woman puts into the oven forms for baking a cake, filled with dough. 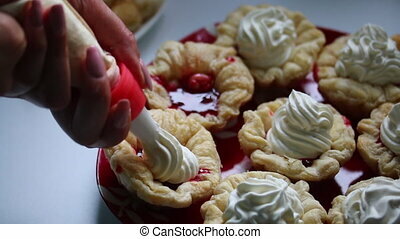 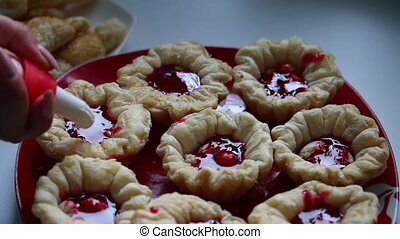 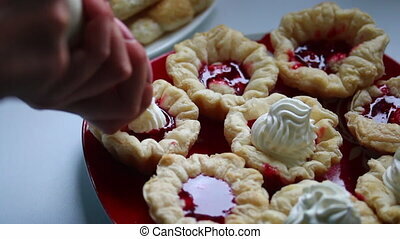 A woman puts jam on a baked base for a cake. 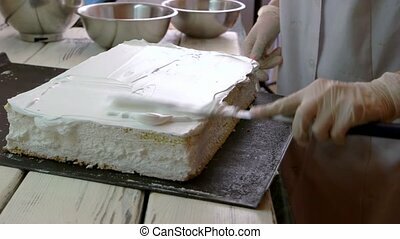 A woman puts cream on a cake with a confectionery bag. 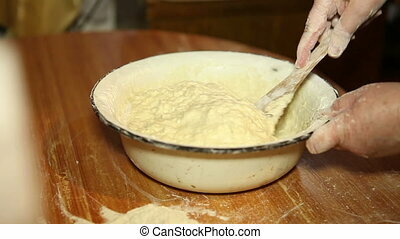 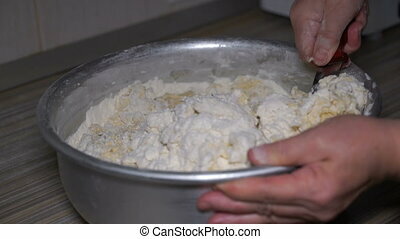 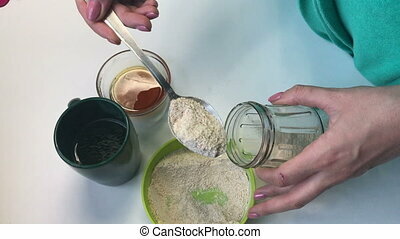 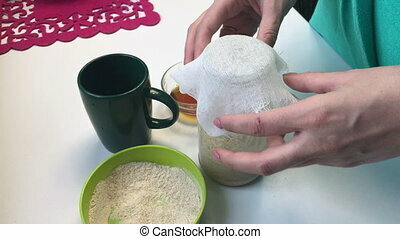 The woman stirs the dough in a saucepan and divides it into parts. 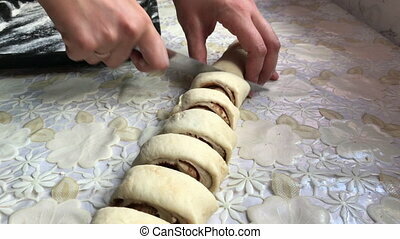 Preparation of buns with cinnamon at home. 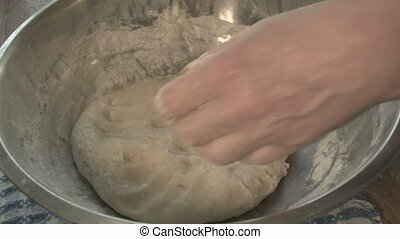 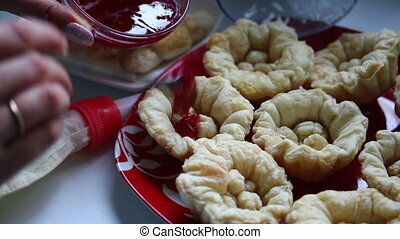 The woman turns the dough and stuffing into a roll. 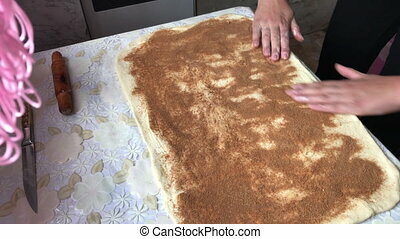 Preparation of buns with cinnamon at home. 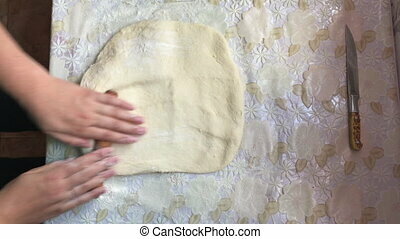 A woman rolls the dough with a wooden rolling pin. 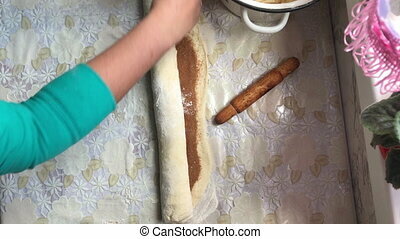 Preparation of buns with cinnamon at home. 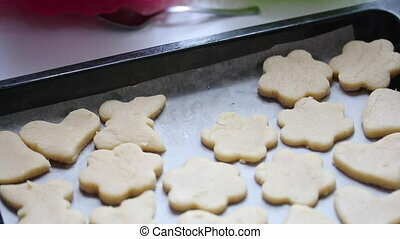 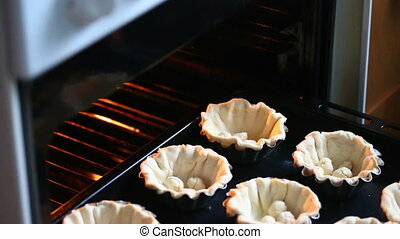 Preparation of baking cookies at home. 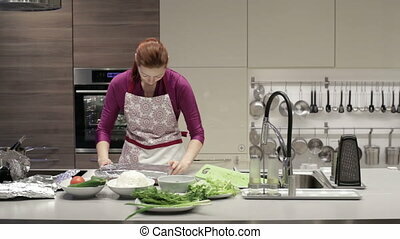 Woman puts on a baking sheet blanks of the test.